The next day we planned to take part in a group tour of Venice and to have our own gondola ride, although we had to find the tour group first! So we set out once again on to the lively streets of Venice. After wondering around for a little while we came across another street performer dressed as Charlie Chaplin. I remember we were so impressed with his act we went to tip him, although we didn’t have much change on us and he didn’t look amused with what we gave him. After receiving some scowls from the street performer we pushed on to find the tour group. Eventually we found the agency that offered the tours; however we were a little bit early so decided to go somewhere and have a coffee. We found a place that looked nice enough, although once we looked at the menu and realized that a coffee cost 8 euros! We quickly left. After laughing about how angry the waiter would have been once he found out we had left, the tour was just about ready to begin. We each got an ear piece so we could hear the guide and once everyone was ready, he led us around the beautiful city. He took us around areas we never would have seen or appreciated ourselves if we hadn’t taken the tour. One thing that sticks in my mind about that tour is observing the striking sculptures that were on large churches and similar buildings all throughout Venice. The attention to detail is mind boggling and must have days and days of precise hard work. It was around this time that Caroline, Simon, Shane and I came up with the theory that Venetian concrete must be harder than usual concrete as our feet felt like they’d been pounded with hammers! After a long walk all around Venice it was time for our gondola ride, which we had all been looking forward to ever since we started planning the trip. It was clear from the start of our ride that the best way to see Vencie was by boat. 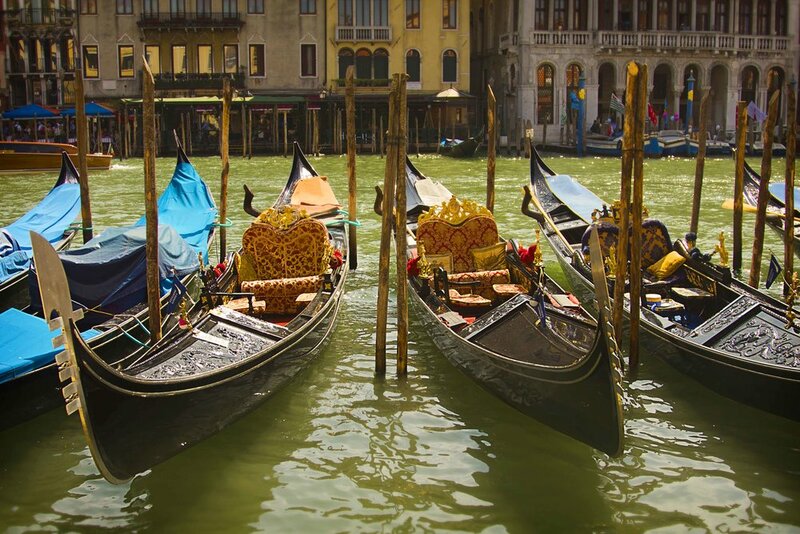 As the Gondolier punted us around the narrow canals we took in more of what the ancient city had to offer. That night we returned to ‘the spot’ to listen to the street musician play her cello while we watched the boats and gondolas gently float past. That night we discovered a deliciously addictive but strange tasting cocktail called ‘an Aperol spritz’. The recipe is 3 parts Prosecco or sparkling wine, 2 parts Aperol and a splash of orange soda if you’d like to try it. Instead of going straight back to our room, that night we stood on a large bridge to get a better view of the Grand Canal. Of course i used the opportunity to take more photographs! The next day we caught the water bus to Saint Marcos Square. The first thing I did was to appreciate some stunning art work on the side of a church. Depicting Jesus Christ. After taking in the art we all went to one of the largest attractions in Saint Marcos. The Dogeos palace, a running joke between Shane and I was that we would see the internet meme doge at the palace. Wondering around the massive palace, we were bewildered by the stunning art work, large scale paintings and amazing sculptures that were presented all around. Although they didn’t allow cameras and frowned on pictures of the palace I couldn’t resist getting a few snaps, as it was all so beautiful. Sometime after that we found ourselves on another water on an adventure across the sea to the small islands that surround Venice. 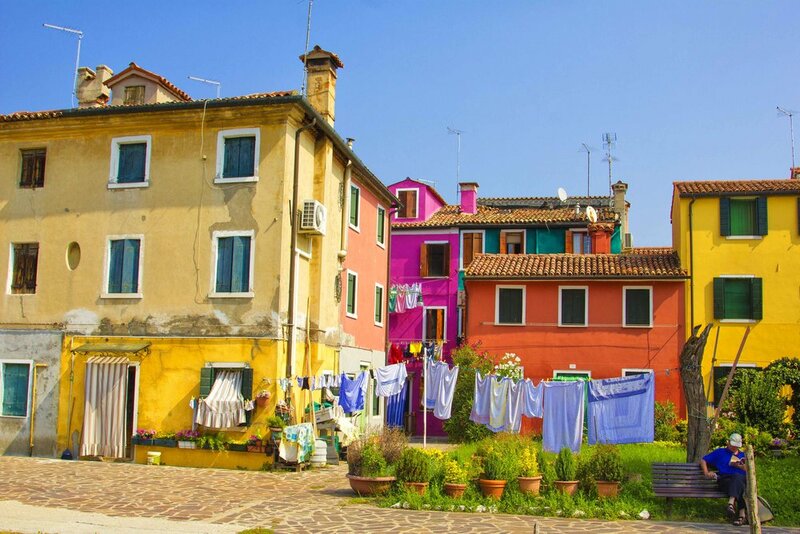 Our first stop was Burano a small island known for its silk and exceptionally colourful buildings. If I remember correctly it also had a leaning clock tower much like those in Venice. After a walk around the beautiful island we returned to the water bus to our next island! 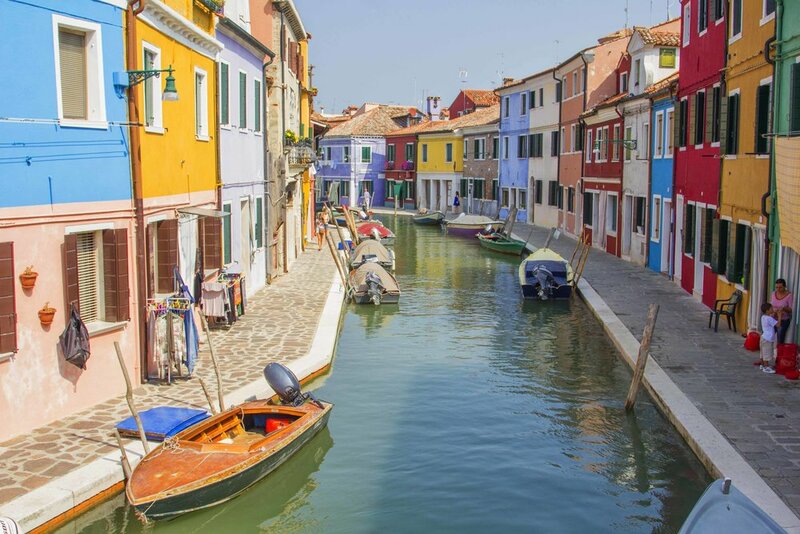 Our next destination was to the island of Murano most famous for its unique and visually stunning glass and crystal. We all attended a demonstration where the trained glass blowers made a Murano glass horse right in front of us. Something that will always stick in my mind is the exquisiteness of the Murano glass chandeliers for sale. I remember one was priced at 12,000 euros! (Although they were unique and most of them one of a kind, so that’s fair enough really). Another memorable part of the trip for me was when we all went to the leado, which is essentially a large beach island! 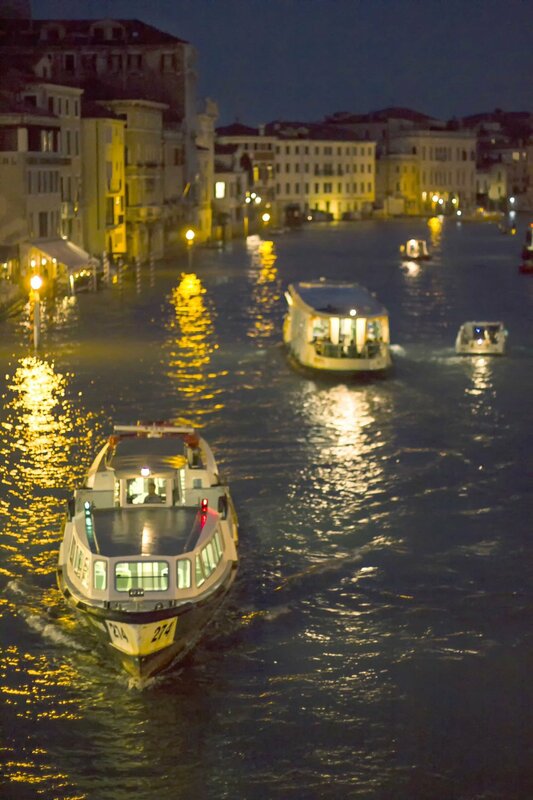 Right near Venice. It was so nice to relax and soak up some sun on our warm sandy beach towels. Something funny that I think we all remember was when Caroline bought a huge elephant blanket from a vender on the beach, she bartered him down from twenty euros to ten then gave him a twenty euro note and got change off him, which we all found hilarious. I remember going for a swim with Shane and Simon, after a while in the water the joke came up that if me and Shane were injured by sharks or were hurt in any way we would be pretty screwed as we didn't buy insurance. We then went for lunch and had some more ham and cheese toasties. The waiter asked if I wanted a beer, I said I couldn’t afford it as funds were getting tight and he came back with a free beer!! ‘What a nice guy’ I thought. The next day was our last full day in Venice and we decided to sit and watch the Royal regatta, which is a huge boat race / carnival that is held on the Grand Canal each year. We found a good spot and protected it as there were so many people! After about an hour of waiting it started and it was amazing. There were so many boats, royal gondolas and other floating wonders. After around an hour and many photographs it was over and we all went for one final shop. Myself and Shane each got a thick nutella pancake (mmm) I remember joking with him how it got thicker at the bottom and was harder to eat. After one final shop we went back to ‘the spot’ one final time, and it’s lucky we did because we bumped into an old friend on a romantic holiday in Venice. We shared a lot of laughs about the unlikelihood of seeing each other all at the same time in Venice! After that we showed her some of our favourite places and went back to our flat. The next day (after waiting around for ages) we packed up and headed for the airport. Venice truly was an amazing trip, for so many reasons. One of the main ones being the close friends I went with. We all said we’d have a reunion ten years on. So from today it’s about nine years away.